Last week, during the holidays I was in Disney with the family. Since we drove, I had LOTS of FREE time to catch up on stuff I rarely get to do.... watch TV. So I kicked back and found some old documentaries on YouTube. When I watch TV, I LOVE finding stuff that inspires me.... NO time for negative, energy sucking BS. My buddy told me I would LOVE The Herschel Walker Documentary...... I couldn't find it on YouTube during my drive home so I wound up watching many other ESPN Documentaries that inspired me a TON, 'Run Ricky Run' was pretty darn good..... 'Once Brothers' was AMAZING..... I really enjoy those ESPN 30 for 30 documentaries. But, when I got home from The Underground Monday night, I found The Herschel Walker Documentary (It's FREE on Demand) inside The ESPN section. Already having Herschel's Basic Training book and knowing about his philosophy on training I was psyched to see what this documentary would unleash. During the drive home from Disney, however, I was able to catch a ton of Herschel's interviews on YouTube, learning about his tough times as a young kid, his dissociative identity disorder & how he used something that many would consider a "handicap" into something that allowed him to become an Epic success. To achieve success and greatness, you must use EVERYTHING in your power towards achievement, even if it's supposed to work against you, find a way to make it work for you. When I watched Herschel's Documentary it reminded of the important things with regards to training the body, the mind and the critical need to focus strongly on bodyweight exercises + sprints. It's NOT ironic to see that Herschel had a hellish life in his early years. MANY champions and success stories tend to have these brutal times early in their life. Many champions and success stories have battled inner demons. I certainly have, and for sure, still do to this very day. Something deep down inside of us keeps fighting to emerge on top, which is exactly how Champions learn to do things in EVERY aspect of their life. Like Herschel said in the documentary, he got to a point where he felt he could do anything, almost as if he had super powers. The ability and undying desire to overcome these inner battles and tough times is what MAKES you into a champion. Without your ability and desire to crush your inner demons, you will NOT become a success story. You MUST develop a hardened sense of self so your edge ALWAYS remains sharp.... you need to ALWAYS keep that edge. 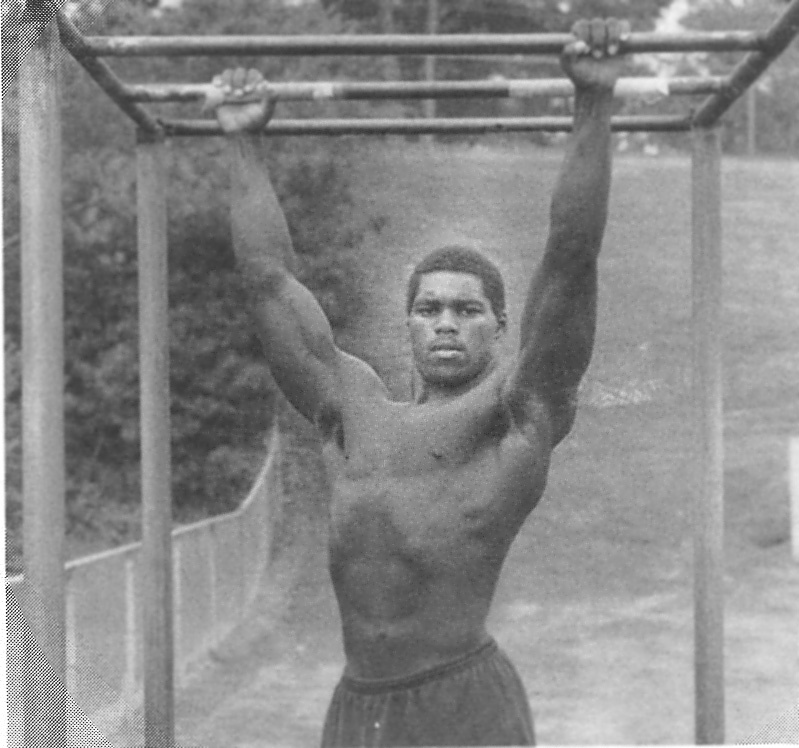 Check this highlight video of Herschel Walker, which looks like a high school kid made as a project for one of his classes, NIIIICE!!! Look at Herschel NOW..... Just shy of 50 and he has only NOW just begun fighting, training and competing in MMA. He took his training extremely seriously, training at a world class MMA Camp amongst other great fighters. Conquer one challenge, move on to the next challenge.... this is how YOU will continue to grow as a person. You may or may not know this.... I am NOT naturally mentally tough OR a physically strong guy.... These are two areas I've had to work at BIG time since day 1 as a wrestler when I was 13 years old. By putting myself "out there" and demonstrating what I do year after year on film, it makes me vulnerable & it pushes me to elevate my standards and my performance. If I tell you to do something you damn well KNOW I am on it as well. That's what I mean when I say "Live the Code" and "Walking the Talk". The key to winning and overcoming these demons is to face them day in and day out and smash them into oblivion, time and time again, let nothing stop you. NOTHING! Would love to hear your comments on this, please drop your thoughts below, psyched to see what you got! This is an amazing article!!! I never knew about Herschel. And this is correct its a constant battle that must be won over and over. @Mellon: U gotta watch it, Chris!!! Let me know your thoughts after watching it! Being from Australia I had never heard of Herschel. Thanks for the hook-up, very inspiring stuff. @Niko – noeXcusefitness: My pleasure, homie! Awesome article:) I’m watching hershels documentary rite now on demand. Cuz you should post a link to the doco on this dude, would love to see it!! Hope your well Z man!! @Spida Hunter: Spida, as I said in the article, brutha, NO links on you tube for full documentary, just a few bits… the entire 45 min. doc is On Demand…. do you guys have that in KIWI land? If not, maybe available on I Tunes or Amazon? that’s why we follow you, honesty and passion! Will be using the first Herschel video as my starter during teaching next week. saw this earlier this week, and it made me do some hard thinking about what I want with my life-as a Marine and a fighter, life would probably been easier if I’d have born male (my Dad used to say I’d have made a hell of a son), but here I am, trying to keep mentally and physically tough, and be a woman at the same time in an unconventional field-Many of my male/female friends who’ve seen me evolve over the past 20 years have questioned my motives for going after goals that most women would not want, or that I was competing against men, which was and is never the case. This is a great blog and the videos dig into the uncomfortable areas of ourselves we try to drown out. @Joy: Joy – toughest thing…. to a point, is to be true to yourself, eventually you begin to NOT care what others think of you, and you find a crew of people who love you and accept you for being you. Inspiring! Like so much of your emails. Thank you again and again for the inspiration. @Elizabeth: my pleasure, Elizabeth, glad U dig em’! I have COX cable and they don’t have ESPN on demand. Is there any other way to see it? @J: Not sure, maybe try going on e bay or amazon if they sell it? Google and see what comes up! This article has help me stay strong, I’m kicking addiction in chest its been hard but this article really helps! @Strongnella: please keep me posted, you MUST watch these types of shows often, they will strengthen your mind and show you we ALL have our demons and you CAN overcome…. you CAN! When I heard 1500 pushups and 2500 situps (a day), I realized its time to step my game up, even more! Thanks Herschel and Zach! @Mike: One thing I heard of Herschel, not sure how true, but, I’ve seen SOME videos…. he would not always do full reps…. many were partials, kinda like The Bar-Barians. BUT….. the volume more than makes up for it…. Thanks for this article. It brings back many memories. 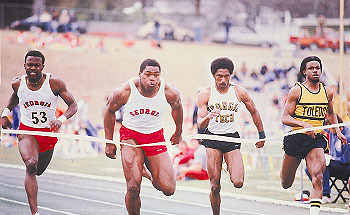 I am a HUGE Dawg fan and remember the Herschel years very well as I was in HS at the time. I still watch his highlights on video from time to time to get me pumped for the season and I still get goose bumps listening to the Legendary voice of the Dawgs “Larry Munson” make the Calls of him running over people or leaving them in his dust. He should have won the Heisman as a Freshman… There was no one better. Truly an amazing story. This self motivated man fought through his battles and came out on TOP! He was and still is a “Go Getter” of the highest order and should be an inspiration to all! Thanks again for this piece. Truly motivational and Inspirational! 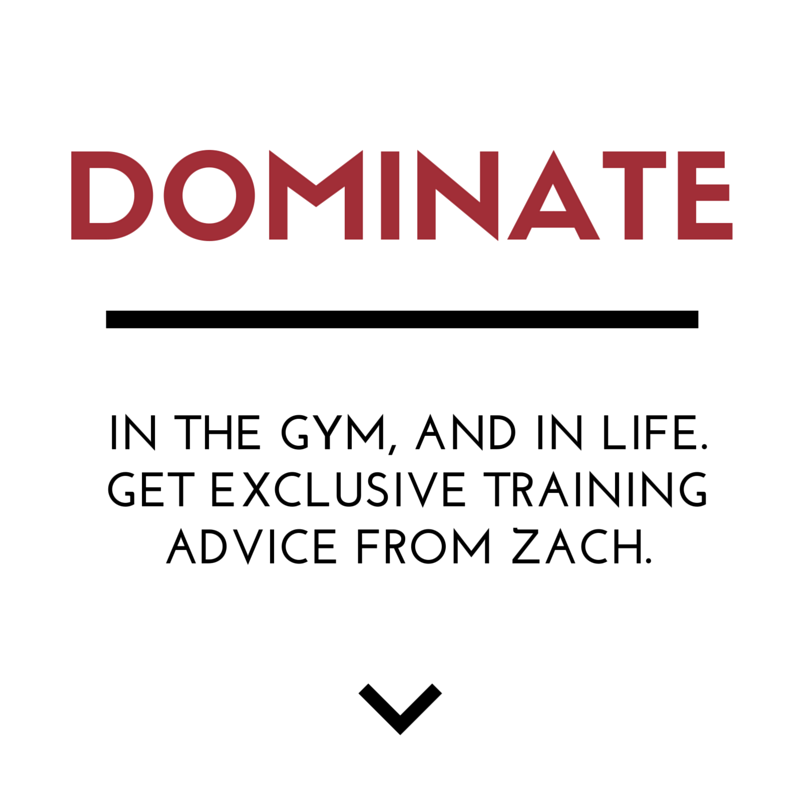 I have heard the same about his training techniques Zach and that his training regimen ONLY consisted of Body weight stuff (partials, Iso’s) and Sprints… And he was doing those reps in HS as well. You are awesome! I have been following your website for a few years now after stumbling upon it by chance. Anyways, I wanted to thank you for all that you do, and encourage you to keep it up (although I can tell you are one motivated individual and don’t need my encouragement). 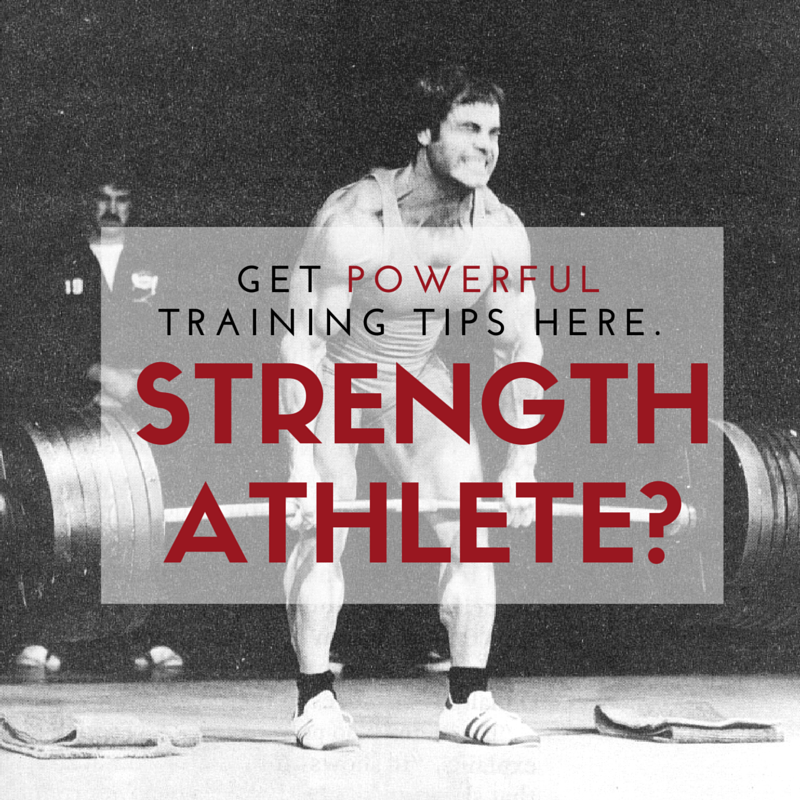 I do have a question for you… I see a lot of similarities in where I am in my life to where you were in your life a few years ago, and was wondering what your thoughts about certifications for S&C coaches. If you are just starting out training people, is it necessary to get a professional coaching certification(such as CSCS, ACE, Crossfit Level 1, etc.)? @Ryan: Yo bro, BIG thnx! Although I run my own Cert (http://UndergroundStrengthCoachCertification.com) it is for the purpose of knowledge in training, business, lifestyle, the mindset of creating success and how to approach this business, etc. To hold a paper stating you are certified by ABC means nothing, it’s your knowledge that allows you to produce results that counts, and, with that knowledge, you MUST know what to do with it regarding how to spread the word, how to communicate to others about what you do, how to structure memberships, etc. Focus on building knowledge, my brutha! Its really amazing. I would think that his joints would be to worn down by the repetitive nature of such training, but obviously they aren’t. John I may have seen that clip during the documentary, I remember writing this article some 7 years ago when I saw that documentary, man, time flies :(!